Bring the water to a boil, then remove from heat and stir in the chamomile flowers. Cover and allow the mixture to come to room temperature. Strain the liquid and use full strength. 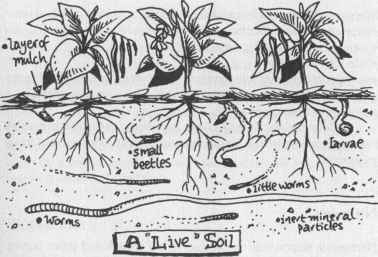 Dampen potting soil mixtures with the tea before you plant your seeds. And then water with the tea blend, spraying the soil lightly each day with the chamomile tea instead of water. Note: You can also use chamomile tea to water cuttings and to soak seeds prior to planting. Chamomile's daisies hold health benefits for people and plants! Long hailed for its soothing effects on humans, a simple chamomile tea solution is also an effective way to protect seedlings from damping-off disease. Use this stronger tea solution on established plants that exhibit signs of fungal disease. Repeated applications of the tea can cure many fungal problems. 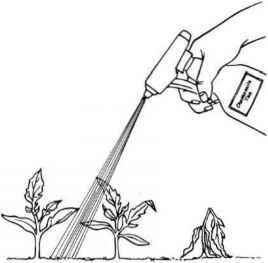 Be sure to spray both sides of the leaves thoroughly. Its sad to watch beautiful little seedlings suddenly wilt and die—cut down before their time by a disease called damping-off. 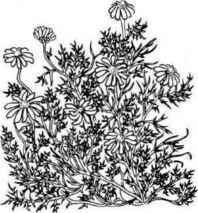 There is no cure for this soil-dwelling fungal disease, but according to Penny King, an herbal educator, you can prevent damping-off with chamomile tea. Penny saw her share of damping-off when she grew herbs commercially as the owner of Pennyroyal Herbs in Georgetown, Texas. She found that she could prevent damping-off losses simply by watering her seedlings with chamomile tea.